We create beautiful WordPress Themes supported by a solid development to help you define your online identity. Retro Portfolio is a one page old-school looking theme with a vintage look. The theme comes with many built-in options to easily configure it in all its parts. Hemma is a clean, modern and professional WordPress theme for Holiday Houses, B&B, Resorts and Hotels. For those who don't need a multipurpose theme, but just a slim elegant solution for promoting their own house. 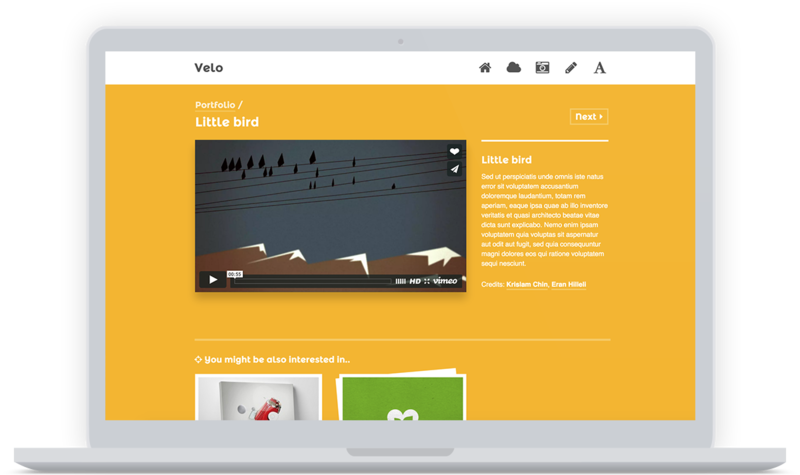 Velo is a slim, colourful WordPress theme for showcasing your artworks, pictures, videos, illustrations and for telling the world what you want with style, personality and balance. 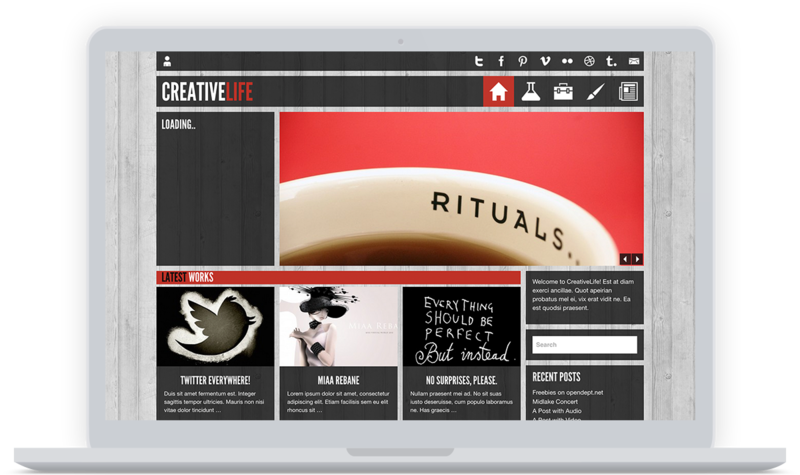 CreativeLife is a WordPress theme for creative people with a magazine feeling & look. 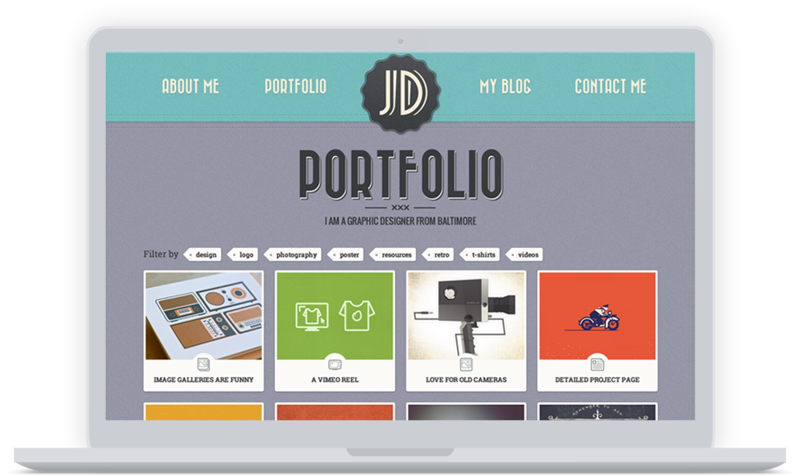 It provides a portfolio section and many other cool features.